Hi there, my single diva! Are you accidentally de-valuing yourself in the eyes of men? You are a strong and independent woman. You have no issues picking up the phone and calling a man, driving to him, planning a date, or even paying for your share on a date. And yet, after a few high spark dates, he starts to withdraw and leaves you feeling clueless about what you did wrong. Sounds familiar? Don’t worry, because you’re not alone in this! This is the typical trap many high-achieving, successful women fall into. They accidentally de-value themselves in the eyes of men by practicing masculine “business”-like behaviours in their romantic relationships. A masculine energy man feels drawn to a feminine energy woman. He likes to lead, initiate, plan, pursue. He enjoys a woman who is a bit of a challenge. When we initiate contact, give him presents, drive to him, tolerate his bad behaviour because we don’t want to upset him or even go “dutch” on dates, we’re making it all too easy for him. Hence, even though in our eyes we’re just being a “nice girl,” in his eyes we’re reducing our value. I know how uncomfortable this might feel for you to read. After all, in your head, you’re just showing him that you too are interested and we live in an equal world today. The world of romance, has always been a counter-intuitive field. By counter-intuitive I mean that what we instinctively want to do when we like a man is what actually goes against us in the long run. Because most of us grew up believing the wrong information about what captures the heart of a man and what makes him stay. We were all taught that giving is a good thing, so the moment we meet a man we like, we start to give to him (masculine energy). We innocently think that by doing these giving behaviours that I listed above, we can impress him and show him what a great catch we are. Unfortunately, this kind of behavior not only doesn’t help pump up a quality man’s attraction for us, it damages it! When the attraction a man feels for a woman early on in the dating phase diminishes, he can disappear without warning, leaving us resentful and confused about where we went wrong. And you should know now, once and for all, why this happens. Awareness is the key to your empowerment in your love life. This happens because the minute you start getting into this “giving” masculine energy mode, it lowers your value in his eyes. He sub-consciously feels that you don’t consider yourself worthy of his pursuit. And who wants a low-value, unworthy object? I don’t. You don’t. He doesn’t either. 1) A woman who knows that she is the prize in love. She can allow a man to pursue her and let him initiate contact with her because she feels worthy of his attention and effort. 2) A woman who can actively and joyfully receive from a man (his time, attention, gifts) without feeling any obligation of returning to him in the same proportion. She knows her mere presence and company is gift enough for him. She is the feminine diva that he craves to be around. 3) A woman who comes from a place of inner confidence and high self-esteem and knows that she has choices when it comes to men, instead of acting from a place of fear, control and scarcity and treating a man as the last surviving male on the planet. 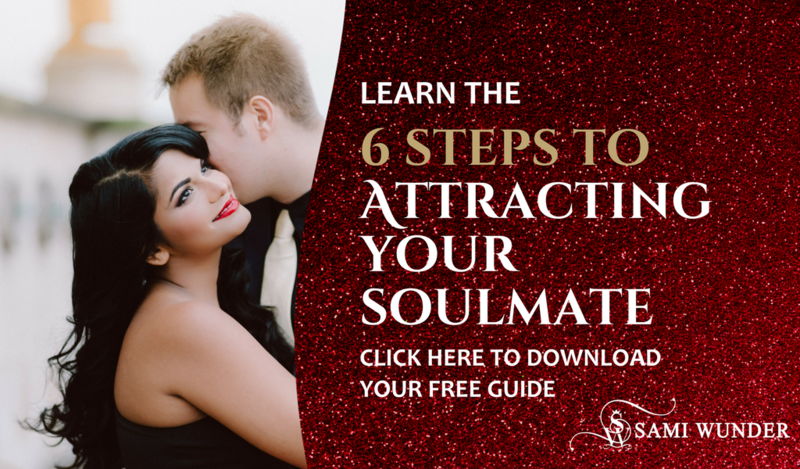 This is where rotational dating helps tremendously (and I talk about this powerful, life-changing concept in great detail in my Attract Your Soulmate program). 4) A woman who has standards about how she wants to be treated and will not settle for “less-than” treatment from a man. 5) A woman who puts her needs and her heart first, before she considers the needs of the man. If these behaviours feel uncomfortable, almost selfish to you, I understand. Some years back, I, too, would have responded like you. And yet if you know my story, I turned my love life around when I learnt, with finality, what attitudes serve us women in love and bring our men close and what attitudes push them away. In my experience, if you practice the high value behaviours I have listed here, your vibe will be raised instantly and, without even trying harder, you will effortlessly appear as a high value woman in any man’s eyes. Remember these high value behaviours must be a lifestyle you practice and not something you fake to just get a man. Strategies never work with men. Only authenticity does. In my in-depth, life-changing program, Attract Your Soulmate, I identify several areas where we women lose our high value vibe in dating, and I explain how we can maintain our power in dating and relationships by implementing simple shifts in our daily interaction with men and harnessing the power of our feminine energy in the process of rotational dating. I’d love to hear back about how this works for you. Just comment in the box below and let’s talk.